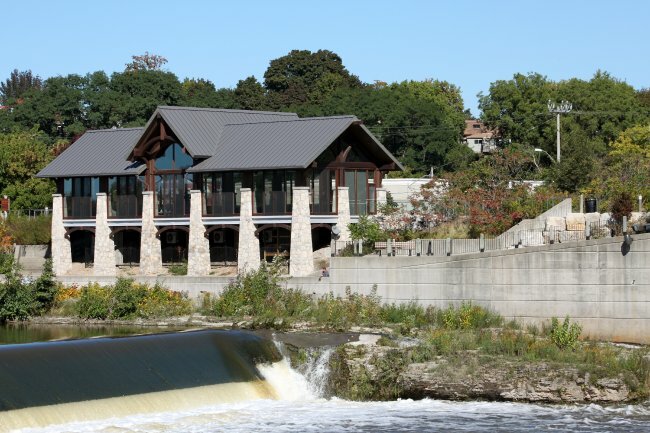 The Cambridge Mill is located in historic downtown Galt. 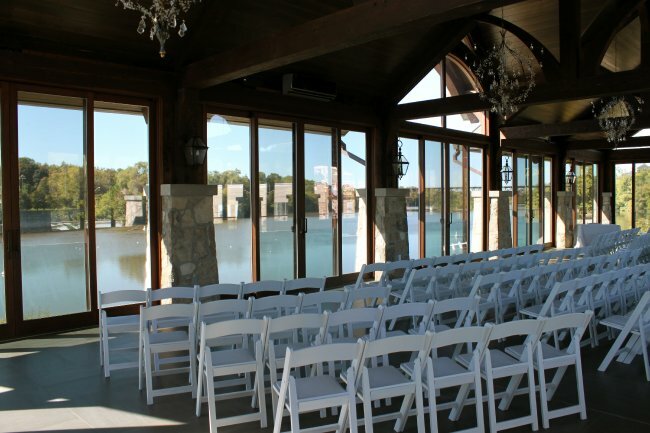 Recently they have built a beautiful pavilion to host weddings and events, providing magnificent views of the Grand River. 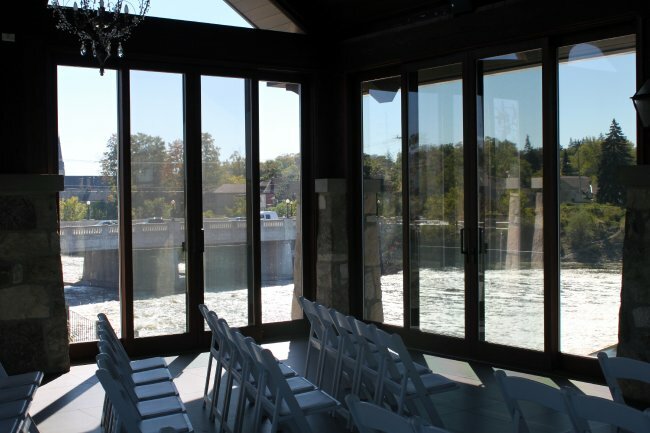 The Cambridge Mill contacted ProMark to address the glare coming through glass on the western exposure, without impacting the magnificent views. Working together we agreed Madico’s Ceramic 30 solar control film was the best solution to their concerns. Ceramic 30 reduced glare by 63% while still preserving the natural view the Cambridge Mill wished to feature. Above: Ceramic 30 installed on lower windows, western exposure. Above: Panes to the right filmed with Ceramic 30 solar control film.